I am just on the other side of untangling my own knot, and I am truly grateful for that. It was by far the most difficult thing I have ever done. In most people’s eyes, we had a relatively good life — fairly happy, successful, two kids and the white picket fence, so to speak. But here’s the deal. Nothing is as it seems at times. 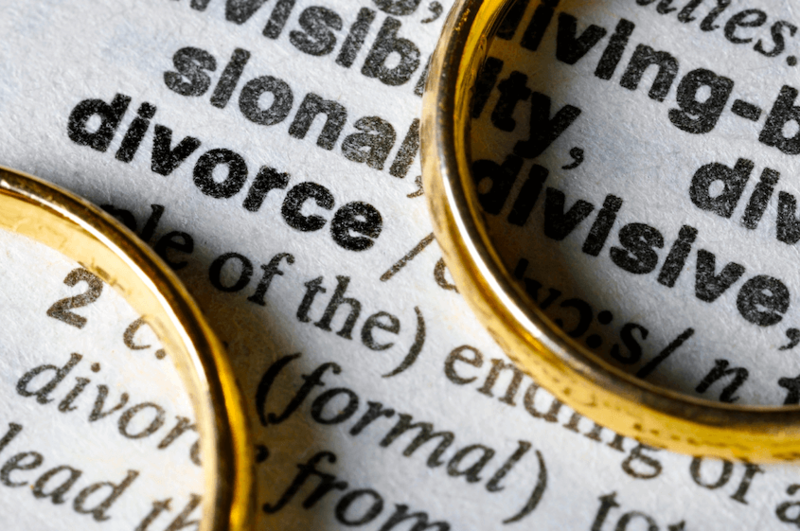 I pondered the possibility of divorce for a long time, while questions and fears swirled through my head. I’m sure he felt the same. What about the kids? Will they be okay? Will it mess them up for life? Will I have enough money? What will happen with our assets? Where will I live? Should I sell the house? I can’t sell the house until I put on a new roof and update the master bath, right? How much will that cost? Who do I use? How much money will we even get for the house? What will happen to our friends? Will they chose sides? How will the credit card balance get paid off? Can I qualify for a mortgage on my own? Maybe I should rent. Will he bring another woman around my kids? What will people think? How will my parents react? Will I be alone forever? Am I even strong enough to make it through this without breaking? Is being married and unhappy better than being alone? It has to be easier than figuring this out… right? How do I untangle the knot I once tied? It took a while to come to the conclusion that divorce was the best option for us, and I am thankful for the people and resources that helped me answer the questions and move through the process in the best possible way. I have learned so much over the last couple of years, and my business partner Seth and I wanted to create a one-stop place of information, support and guidance, where I could share things I’ve learned in hopes of helping even one person find their way out of a situation they know is wrong for them, and help them move toward a more positive journey for their life. We’ll share the information I used to answer my questions and soothe my fears including guidance for finding the financial and legal resources, how to develop a support network, and finding the appropriate therapy or coaching to not only move through this period of grief, but also to achieve a greater awareness of yourself in preparation for a happier, more fulfilling relationship in the future. I will also share learnings of a spiritual nature that I discovered when I felt desperate for answers and traveled unfamiliar avenues in hopes of finding them. Each of these topics contributed in some way to my journey. I invite you to read and think about each topic with an open mind, try it on and see what fits. If you can find even one nugget that provides some direction, security or even a shred of peace when you need it, I will consider this to be a worthy effort, and I feel honored that I could be of service.